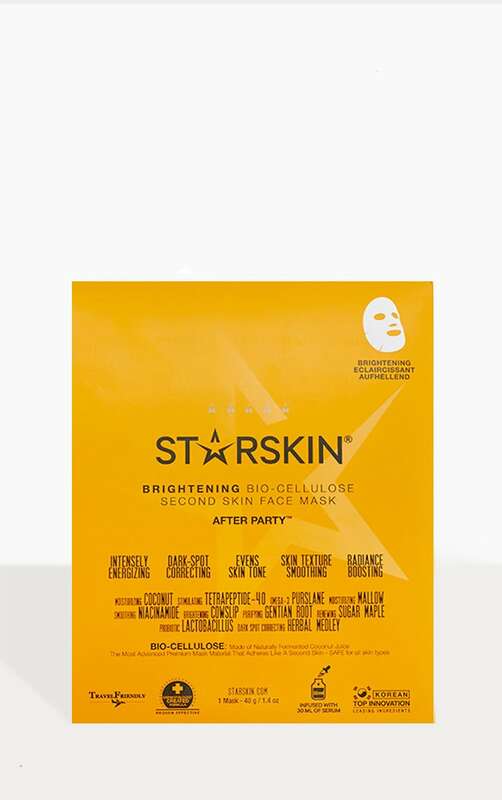 Brighten and illuminate even the most dull and tired skin with the After Party™ Coconut Bio-Cellulose Second Skin Brightening Face Mask from STARSKIN. 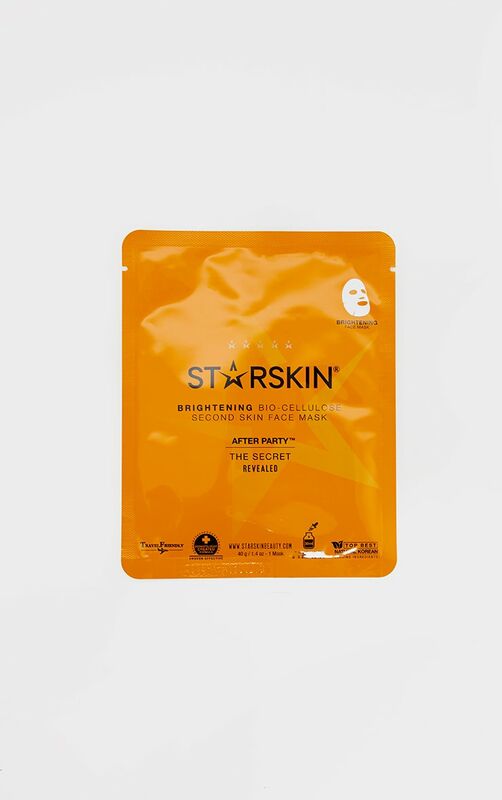 Formulated with STARSKIN's Vitamin rich Coconut Juice and Bio Cellulose, the After Party face mask hydrates, visibly revives and conditions the skin.The transparent, cooling sheet mask contours closely to the face and delivers a boost of Vitamin C, which works to improve the appearance of dark spots and visibly correct uneven skin tone. 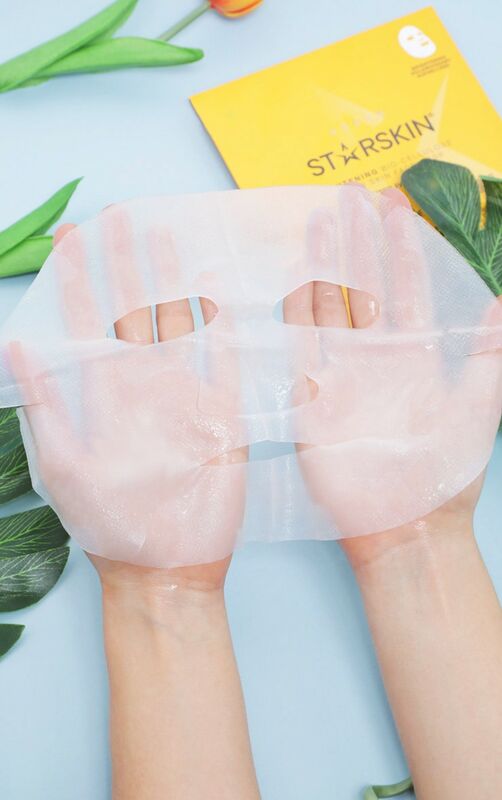 The mask is also enriched with brightening Cowslip, firming Mallow Extract and healing Gentian Root, leaving skin fresh-faced and prepared for the day.The mask is drenched in a skin revitalising Organic skincare serum, which transforms skin that has been up all night partying, visibly restoring luminosity and brightness.